Today I’m sharing my five favorite modern cookbooks in a new series called, The Splendid Five. These are five beautifully designed cookbooks that contain absolutely delicious recipes. 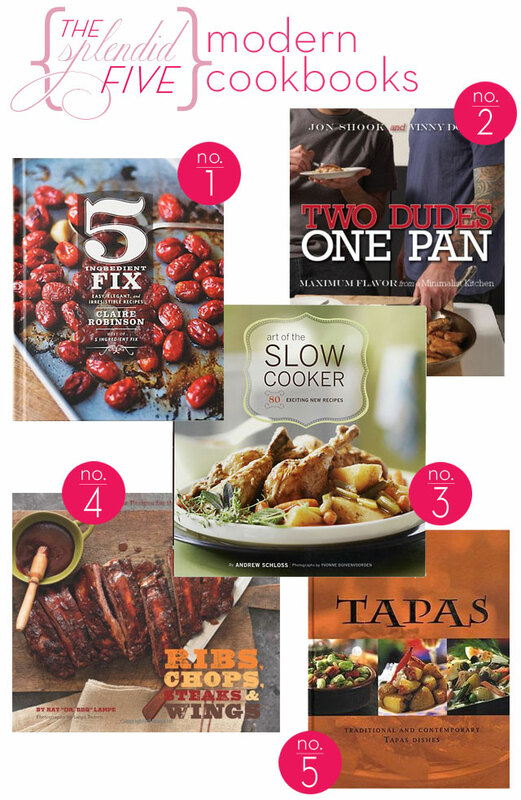 And, YES, I own all five of these cookbooks… they are all fantastic! This weekend I’ll be exercising my cooking chops! I signed up for a knife skills class for my Finding Splendor adventure… These books are gonna get a workout with my new skills.